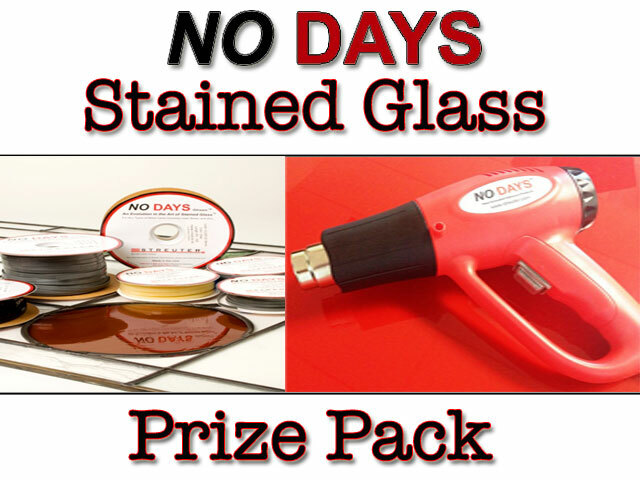 Win one of 3 No Days Prize Packs! 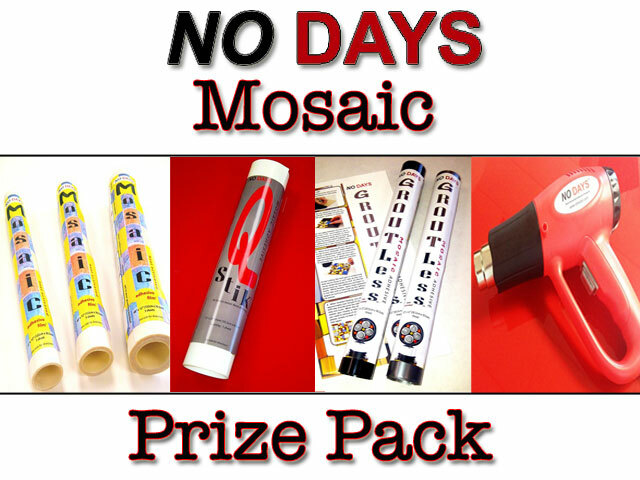 Head over to Facebook to enter to win a No Days Prize Pack! 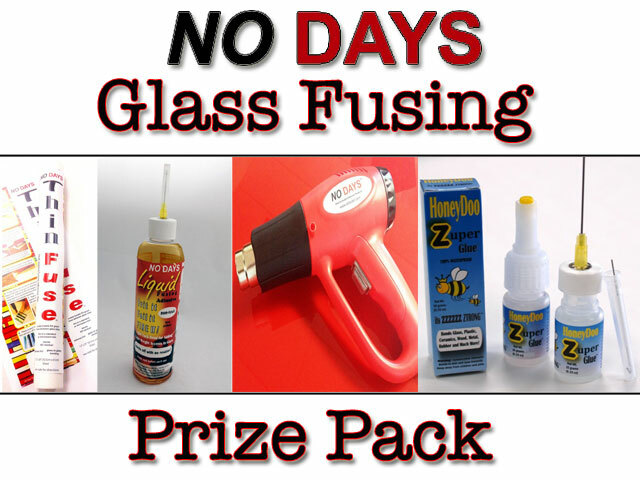 We’re celebrating summer with a No Days Giveaway! Head on over to our Facebook page to sign up and enter to win your choice of four prize packs. 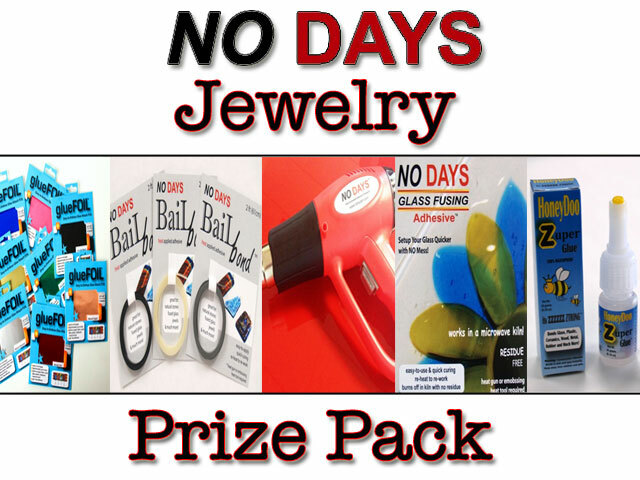 We’ll be giving away a total of 3 Prize Packs, but one of those is exclusively for our No Days fans who get 2 of their friends to sign up, as well! That means even better odds of winning. The contest starts at noon PST on August 7th, 2013, and runs through noon PST on August 21st, 2013. No Days Heat Gun, and HoneyDoo Zuper Glue. No Days Glass Fusing Squares and HoneyDoo Zuper Glue. No Days Groutless Mosaic Adhesive and No Days Heat Gun. No Days Glaze, No Days Pattern Cutters and No Days Heat Gun.